The Ontario College of Trades (OCOT) is facing litigation relating to potential bias and conflict of interest in its review panel decisions for apprenticeship ratio reviews and compulsory trade classifications. Powerseve, “a company providing electrical services to home and business owners in and around Windsor and Kitchener Ontario” filed the application for a judicial review about the electricians’ apprenticeship ratio decision with the Ontario divisional court on Dec. 19. Concerns about conflicts of interest and the then-impending court filing caused a delay in the first compulsory trade review, for sprinkler and fire protection installers. Fishbein wrote that he cannot recall when he last represented the union (“although it was a long time ago”); however, his former law firm still works with the union. As a result, the OCOT invited written submissions, and received responses from the OHBA, the OSTA, the Ontario Association of Fire Chiefs, the Canadian Association of Fire Chiefs and the Municipal Fire Protection Officer Association. The fire organizations had previously submitted briefs in favour of compulsory certification and reiterated their desire for the process to move forward without further delay. In a Dec. 13 brief, Stephen Hamilton, the OHBA’s manager of government relations, wrote that “upon reflection and internal discussion with industry leadership OHBA has concluded that to the best of our knowledge Mr. Fishbein has no ‘reasonable apprehension of bias’. This leaves only the OSTA in opposition to the review panel proceeding with Fishbein as chair. 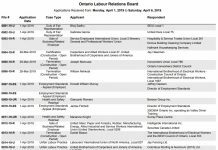 In her brief, OSTA chair Karen Renkema, who is also senior manager of public affairs for the Progressive Contractors Association of Canada (PCA), wrote that “it is our position that Mr. Fishbein’s prior professional association with Local 853 constitutes a very real and significant potential for bias. 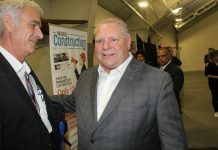 Renkema said the OSTA represents 32 trade associations, including “8,000 companies who employ in excess of 130,000 workers across the province.” In an interview, she said the OSTA replaced the Ontario Construction Trades Coalition because it now represents some non-construction trades and businesses. 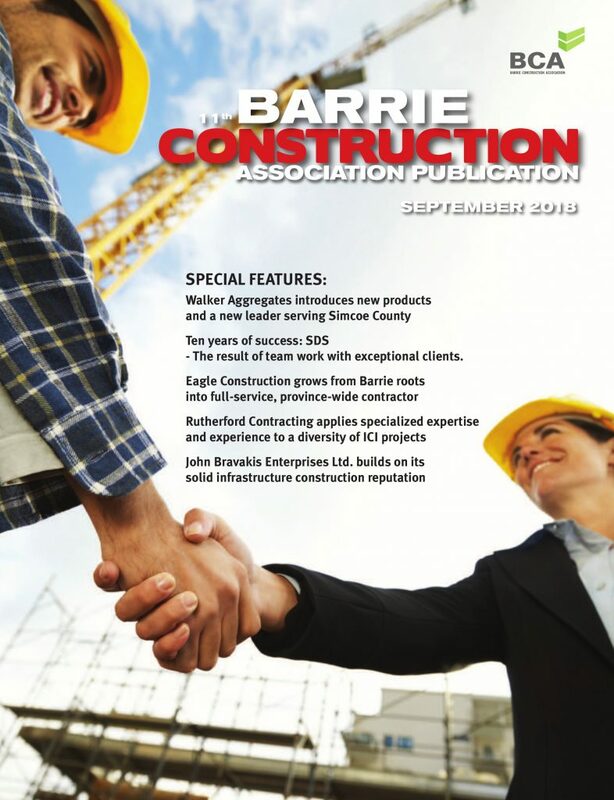 OSTA members include the Ontario General Contractors Association (OGCA) and the Ontario Sewer and Watermain Construction Association, as well as the PCA and other groups. Jan. 6, 9:30 – 5:00 p.m. – consultation: objections regarding the composition of the panel, if any, will be dealt with. Oral submissions regarding the trade classification will proceed if possible. The sprinkler and fire installer trade classification review, the first in the college’s history, may be followed by more contentious and controversial trade, especially carpentry. 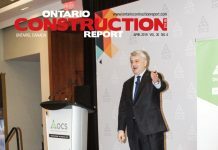 Next articleOntario’s prompt payment legislation — Is it heading to limbo because of confrontation between residential developers and trade contractors?